Our visit to the Adwoa (anonymized) community in the Ashanti region was organized with the facilitation of the local MoFA agricultural extension agents. 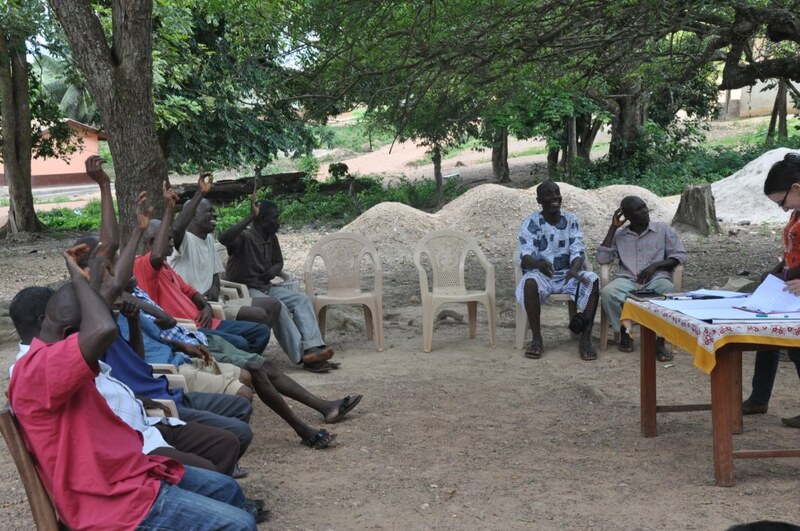 The AEA organized attendance by farmers and set up the discussion space with plastic chairs available locally. The focus group discussion started with participants introducing themselves and explaining their relationship to the person seated next to them. The explanations provided were in with traditional rural norms and fellow farmers were often recognized as “a brother” or “a sister,” even when there was no blood relation. More qualified descriptions included “father in farming” or “junior brother”. Farmers considered the living history of their community and noted that the population of the area has increased considerably in recent years. They noted that some years ago they did not know about fertilizer, row planting, pruning and other farm practices but all these were introduced to them through assistance from development partners such as the public agric extension office. While the community did not even have a school until recently, in 2010 they had a school with a computer lab. Another important technology that farmers noted had been introduced into their daily lives, was the mobile phone. Adverse developments included, water pollution caused by illegal mining activities, floods during the rainy season which often destroyed farms and poor sanitation. 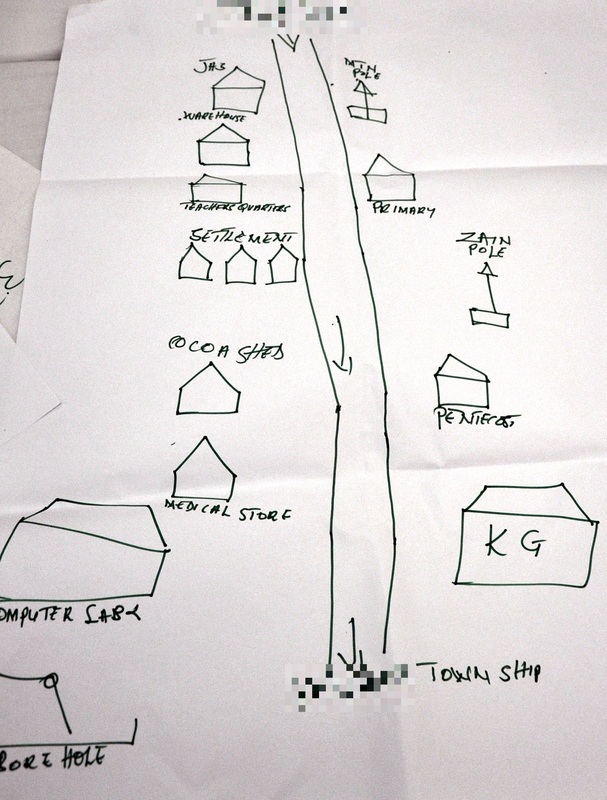 Farmers drew a participatory map of the information resources in their community which included not only mobile towers for Zain (later Airtel) and MTN, but also shared spaces such as the Pentecostal church and the primary school, and shared activities. As productive activities in the communities are largely centered around cocoa farming, the spaces related to those activities included a “cocoa shed”, a “warehouse”; and a “weighing station” where farmers who traditionally use volume units (e.g. bags, bowls, etc.) could measure their produce and estimate its trading value. Farmers considered themselves fortunate to be growing because COCOBOD (i.e. the parastatal cocoa purchaser in Ghana) would always be ready to buy their produce at fixed prices, irrespective of how much is grown. 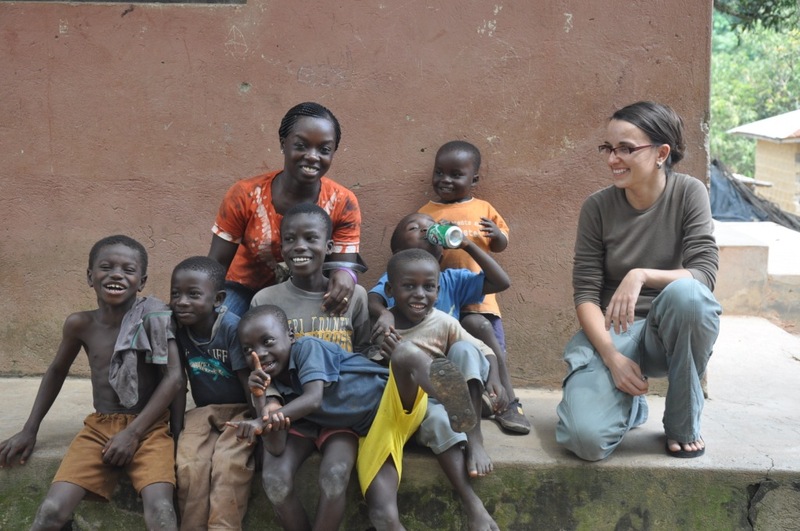 As cocoa farmers, they did not experience market gluts; like farmers of other crops. An interesting element of the participatory map is the inclusions of a “bore hole” which can be interpreted not only as shared space, but also as shared activity (fetching water). Even though the community had a loudspeaker and a town crier, they did not choose to include those on their map of information resources. These resources were used for locally relevant announcements such as communal labour days, immunization campaigns, community meetings, as well as security risks and thefts. Even though they had a computer lab, no adults ever used it because it was part of the school. Radio was farmers’ preferred source of news and weather, and they tried as much as possible not to miss those broadcasts. They considered weather forecasts to be true most of the time, and used them to decide when to apply fertilizer and to perform other farm activities. 17 out of 18 farmers reported having access to a radio, and 10 reported having access to the radio on their mobile phones. With regards to mobile phones, out of the 18 participants 13 (10 men and 3 women) had access to mobile phones. They tended to be mid-range phones with LCD displays. On average, they reported purchasing GhC 2.5 of phone credit per week. As the Adwoa community had no access to the electricity grid, farmers tended to charge their phones at the base stations of the two mobile companies (Zain and MTN) which were located within their community. Security staff at the facilities could be persuaded to charge phones for the fee of GhC 0.50. Even though they had no electricity, 3 out of 18 farmers owned TV sets indicating the symbolic significance of TV ownership.